Fuji X Pro 1 with 60mm macro. 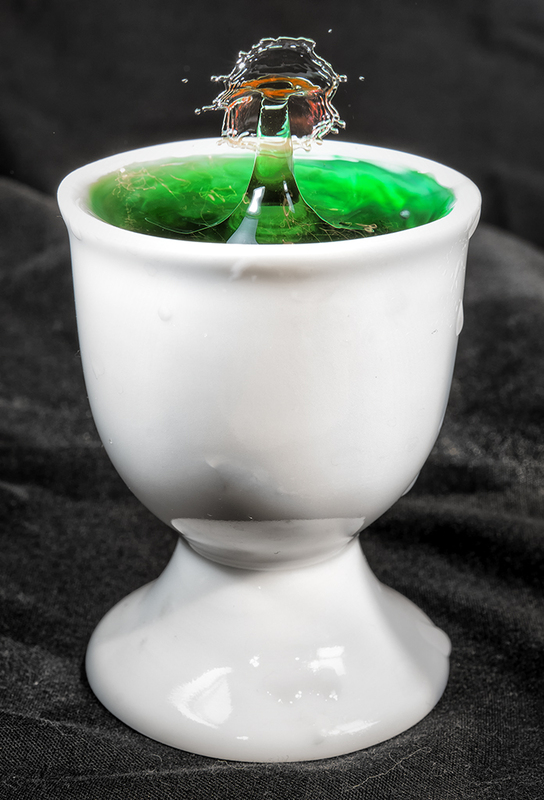 Egg cup with green water and the time machine dripper with red water. Black backdrop. Published October 14, 2012 at 696 × 1024 in Fuji X Pro 1 for High Speed Water drops Anyone?